With Kindle Scout, Amazon’s taking a 21st century approach to publishing, letting readers nominate which books progress to funding. It’s like your favorite reality TV show, except for books. 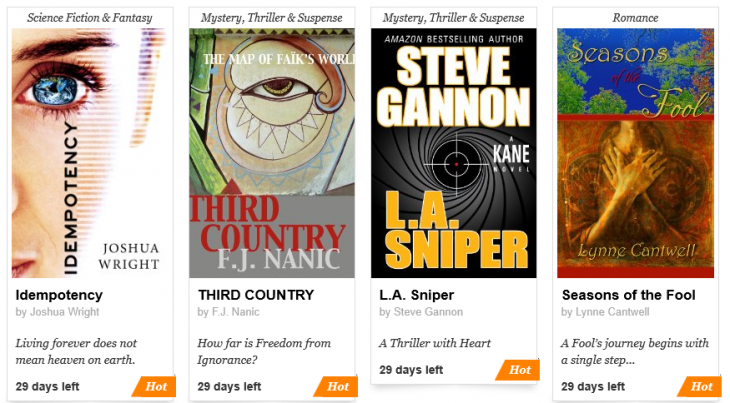 Amazon launched Kindle Scout in the US a couple of weeks back, but today sees the program officially open for voting. It means you can now read excerpts from hitherto unpublished books and, if you like them, give your thumbs-up. Each book, across romance, science fiction and mystery & thriller for the time being, has 30 days to get as many votes as possible. After this period, Amazon checks which titles have the most backing, and selects which will be published. There is, of course, scope for authors to get friends and family to up-vote their new title, which is why Amazon still ultimately makes the final call on which proceed to publishing. But its decisions are at least influenced by the public. So why would you wish to nominate a title? Well, if you like what you’ve read in the short extracts, it of course means you can read the full shebang when it hits publication. But more than that, you also receive a free Kindle edition a week before it’s officially released. There are existing Kickstarter-style crowdfunding platforms for books such as Pubslush, but Amazon’s scale and audience will be a big draw for many budding authors. Though writers will have to give up 50 percent of e-book royalties, they also receive a $1,500 cash advance, and the might of Amazon’s marketing machine. It’s in Amazon’s interests as well as the author’s to push published titles into the wider reader realm, after all.